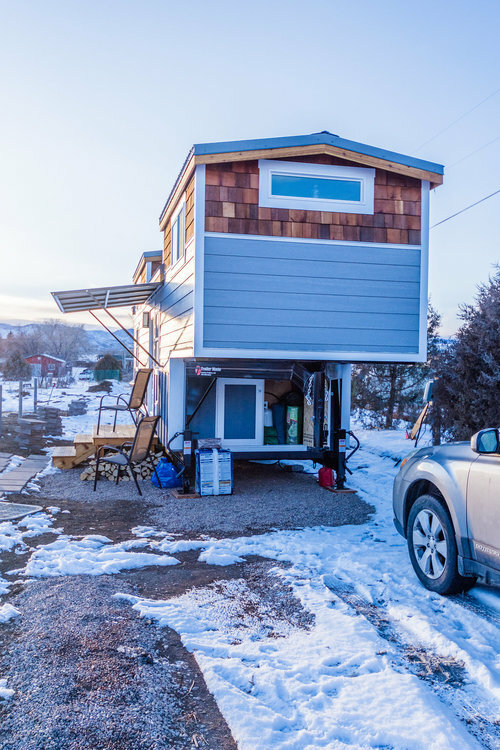 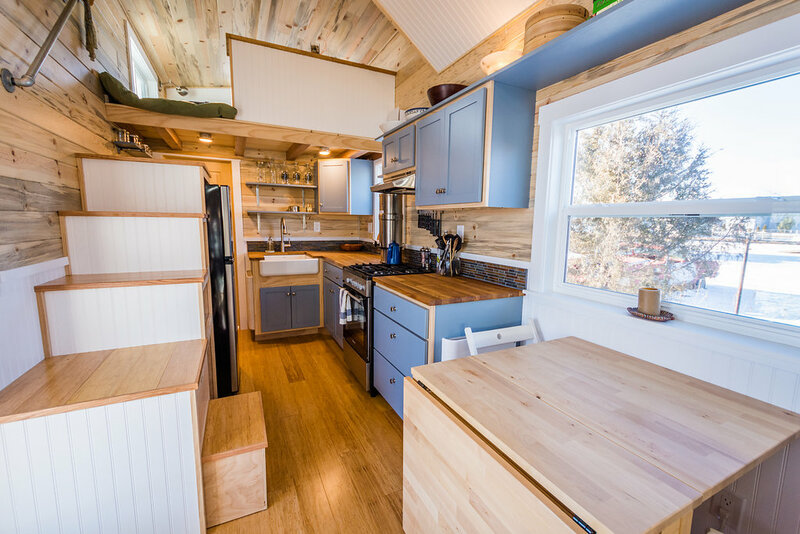 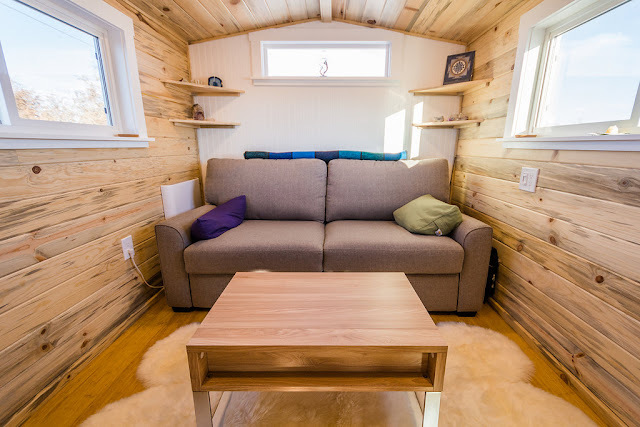 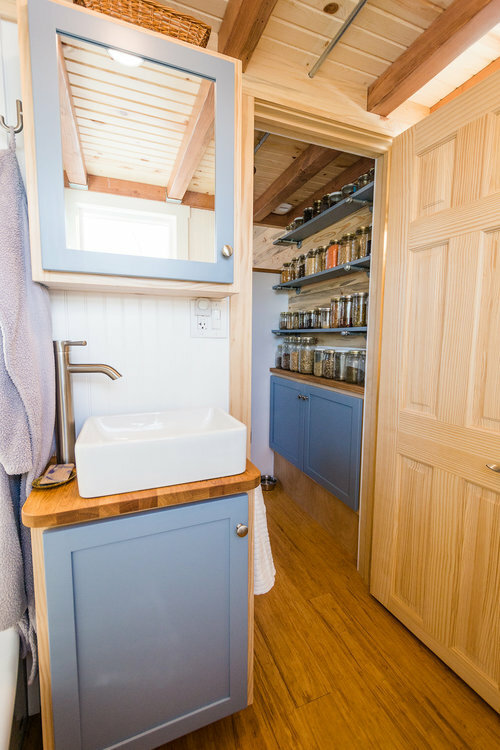 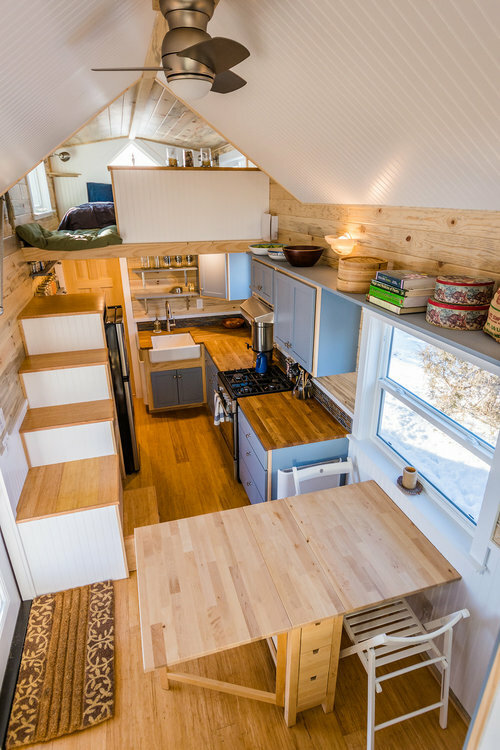 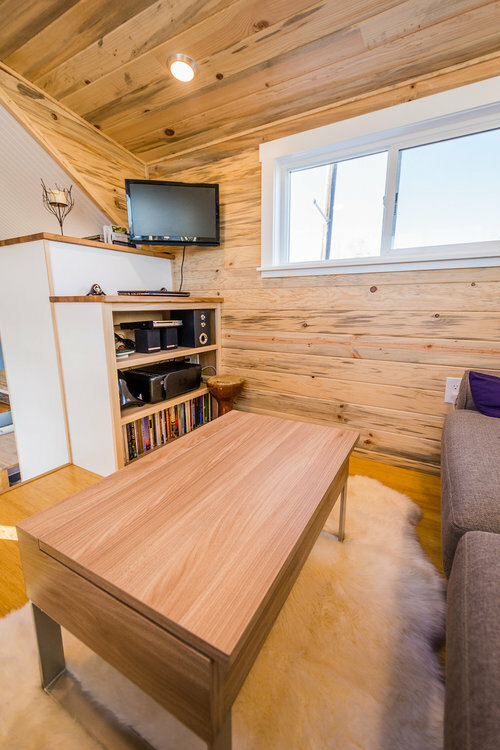 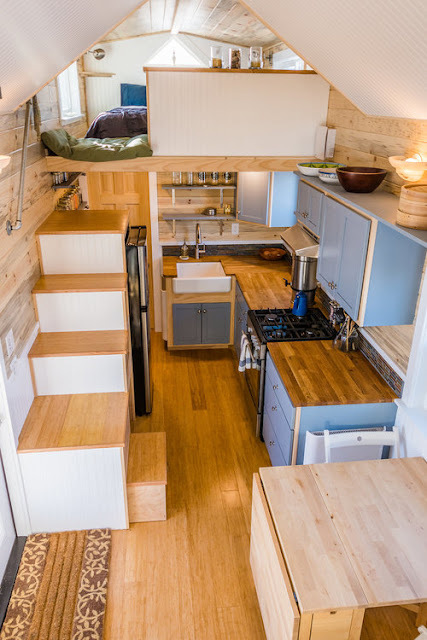 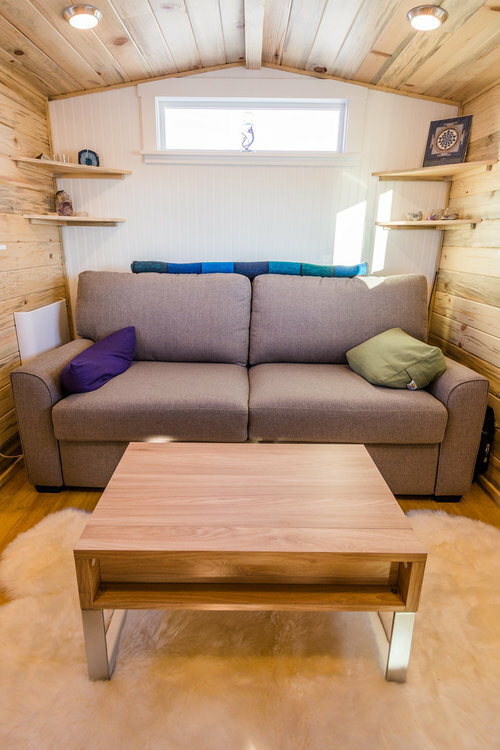 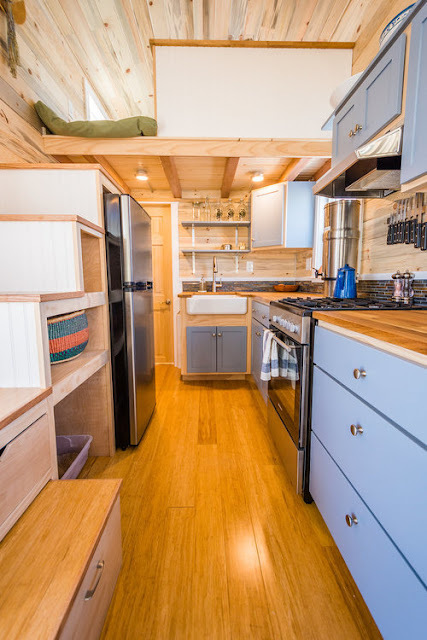 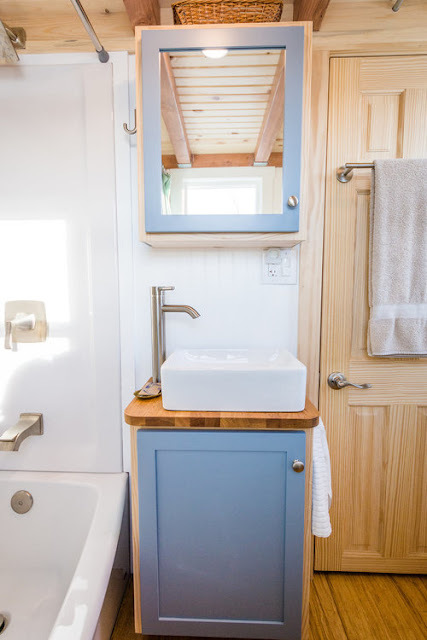 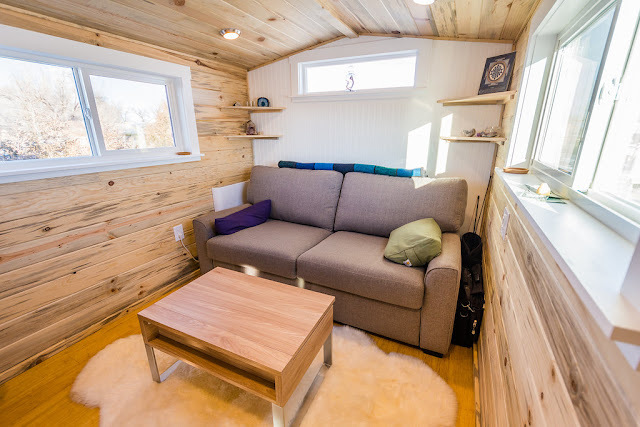 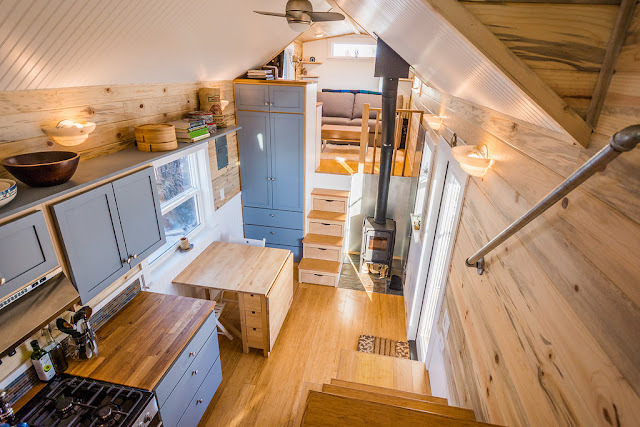 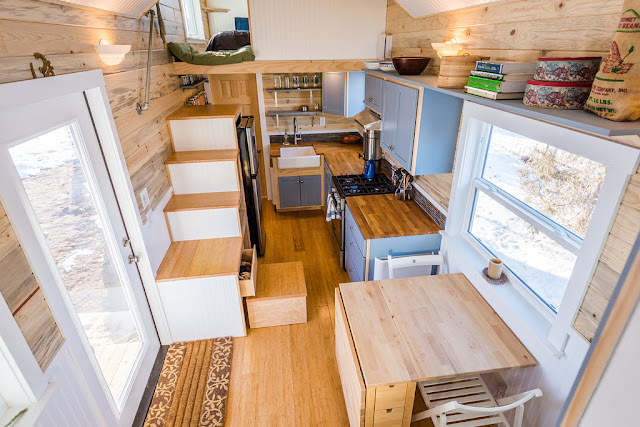 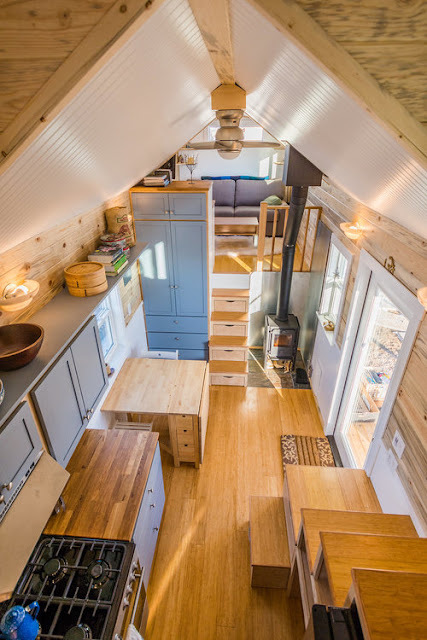 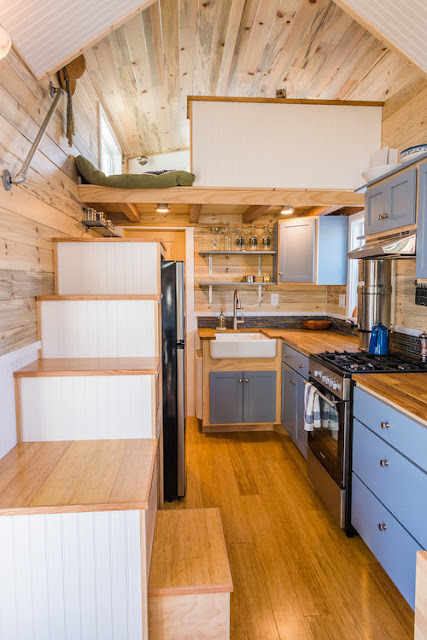 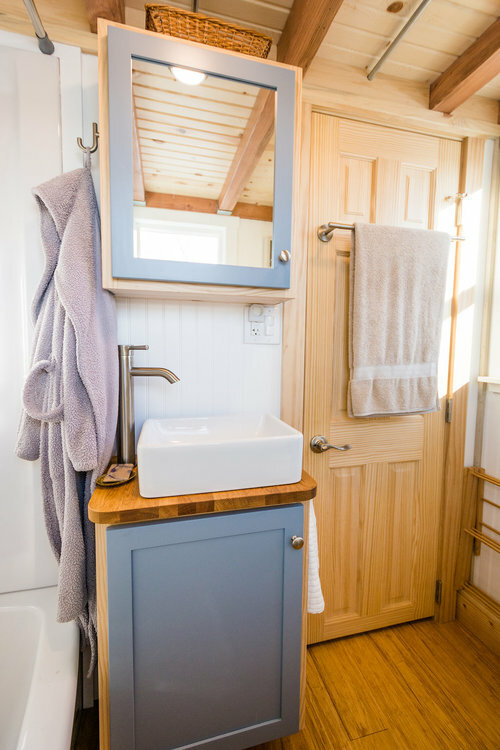 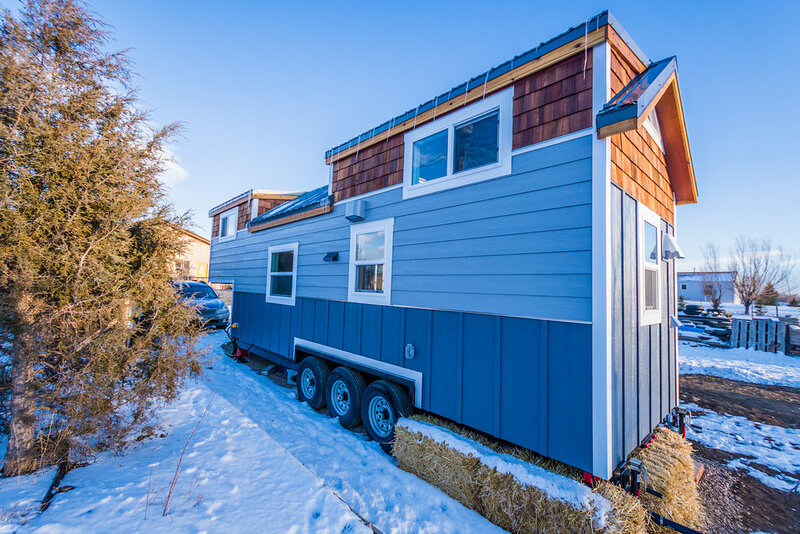 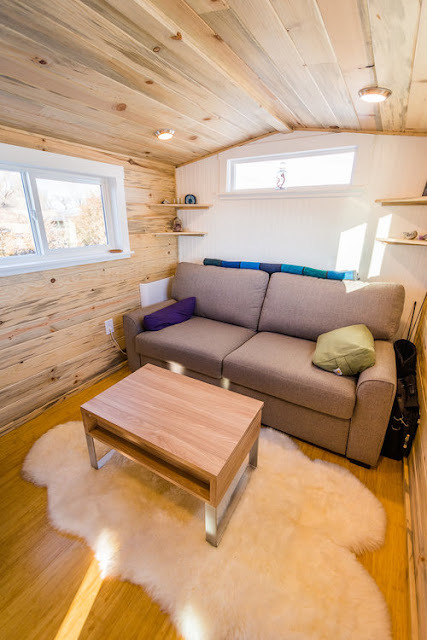 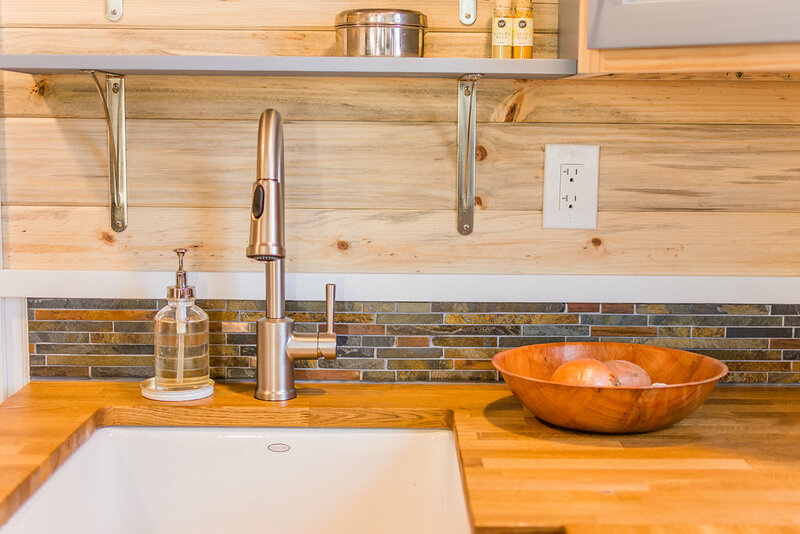 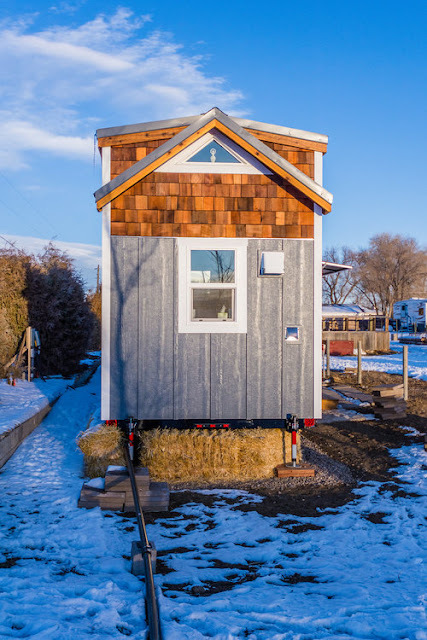 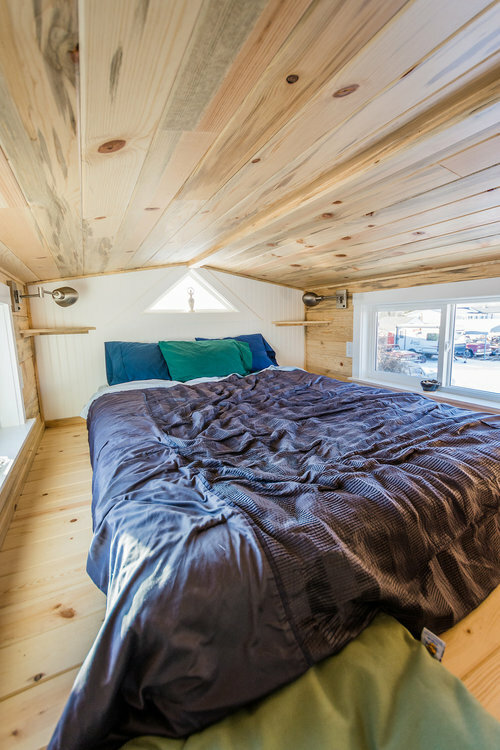 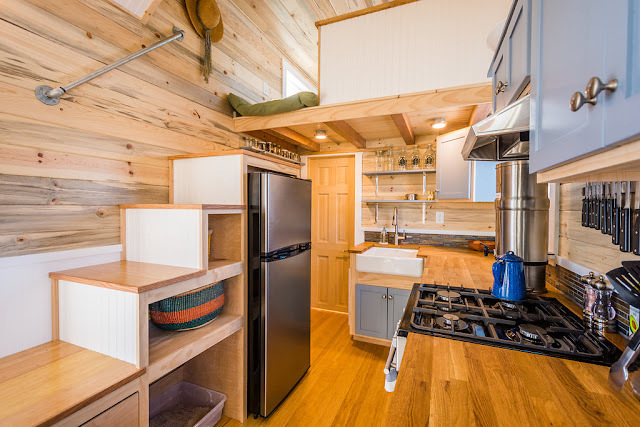 A beautiful custom farmhouse-styled tiny home from Mitchcraft Tiny Homes of Fort Collins, Colorado. 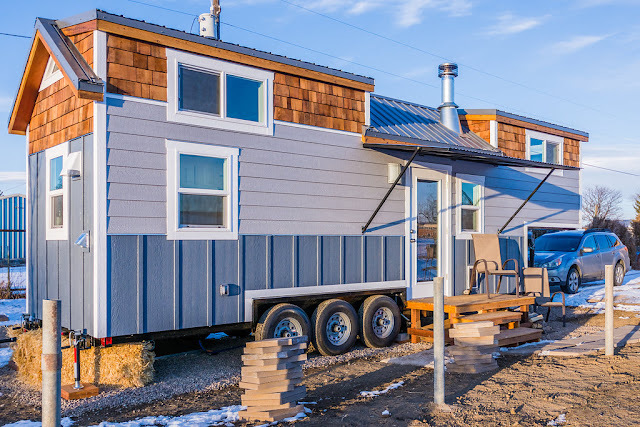 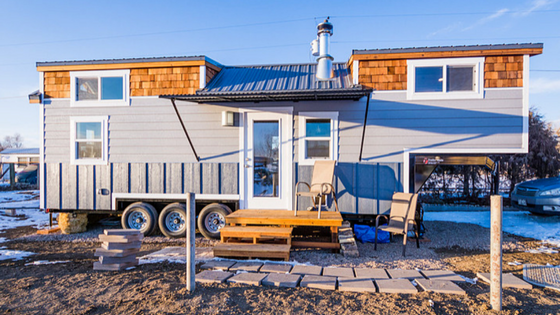 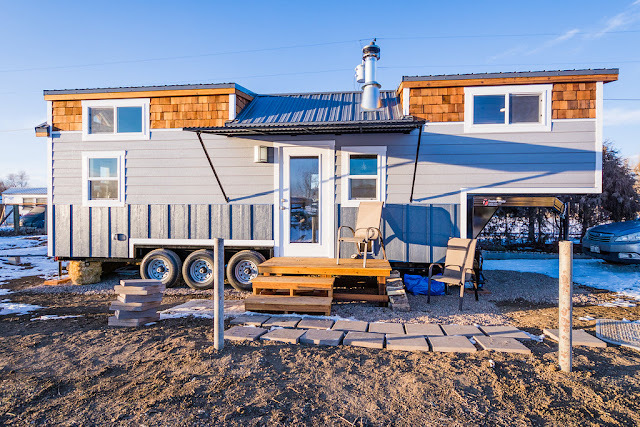 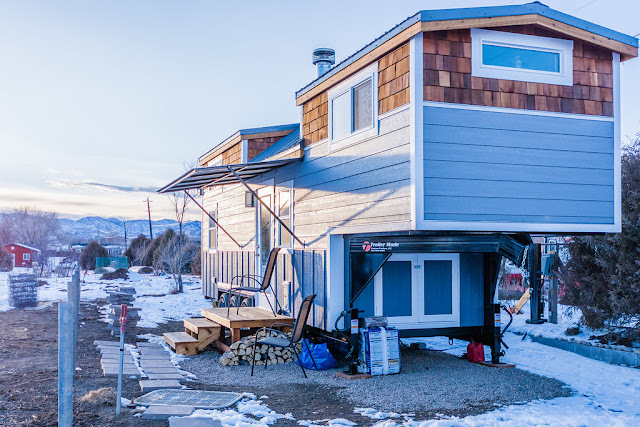 The home is built onto a 33’ gooseneck trailer, featuring a gable style roof with dormers. 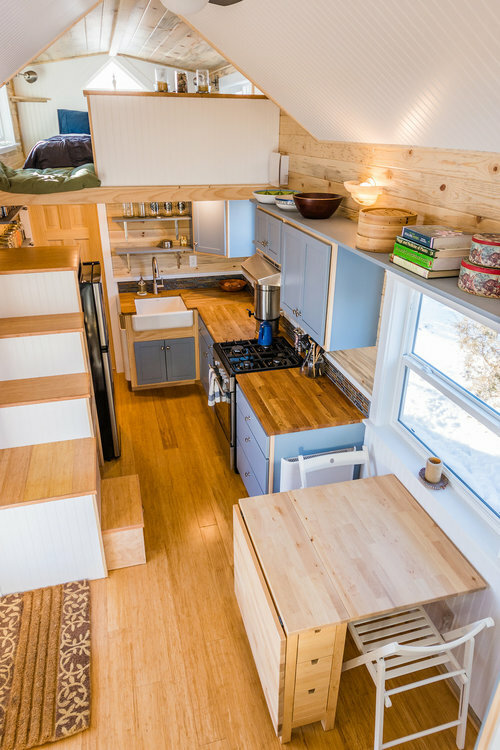 Inside, the space is bright and open. 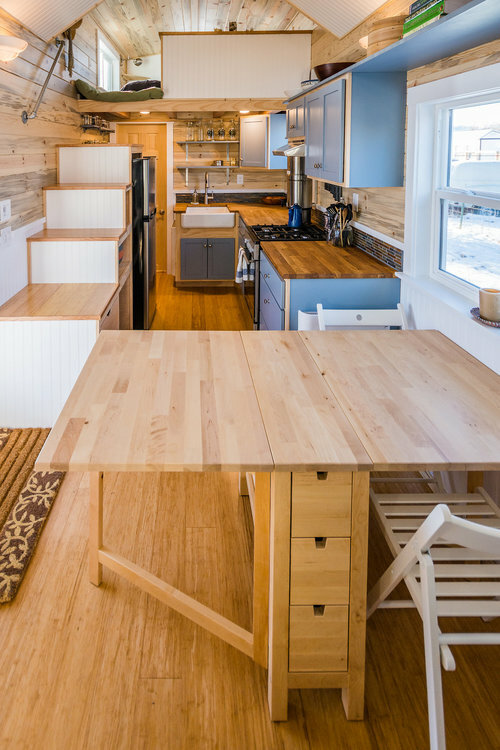 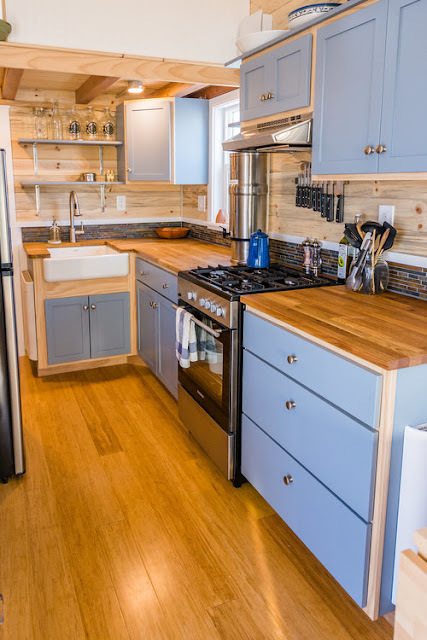 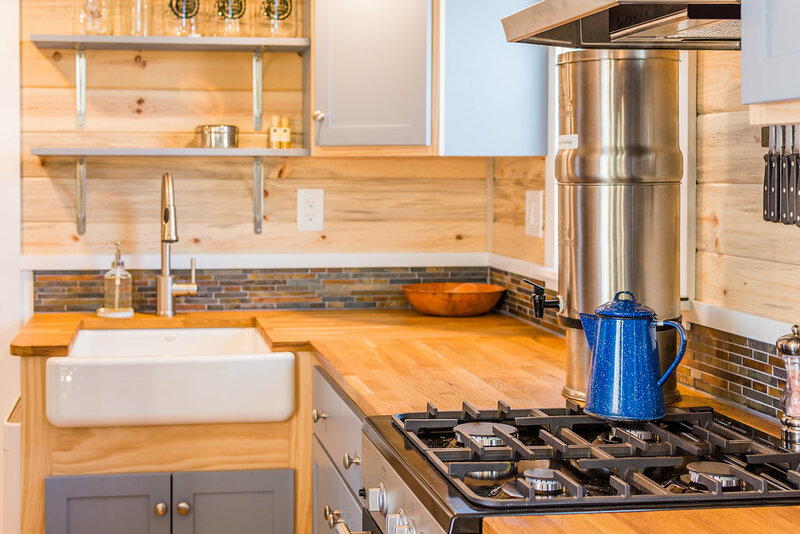 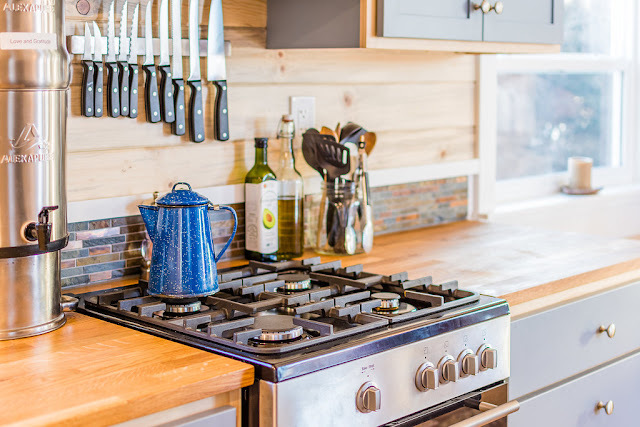 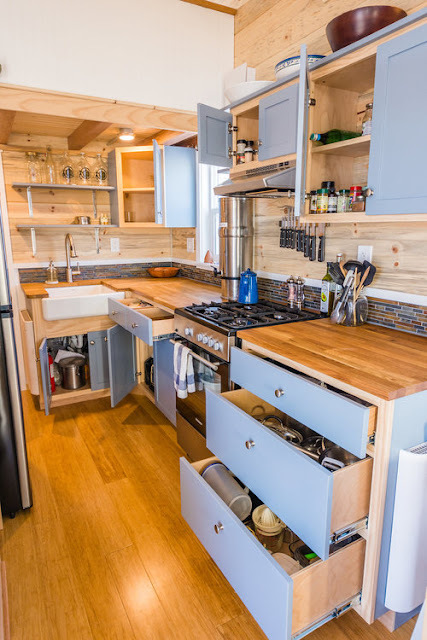 The kitchen has plenty of counter space, a four-burner gas range, a rustic farmhouse sink, and plenty of storage. A roomy dining room is also available with a fold-down table that can comfortably seat four people! 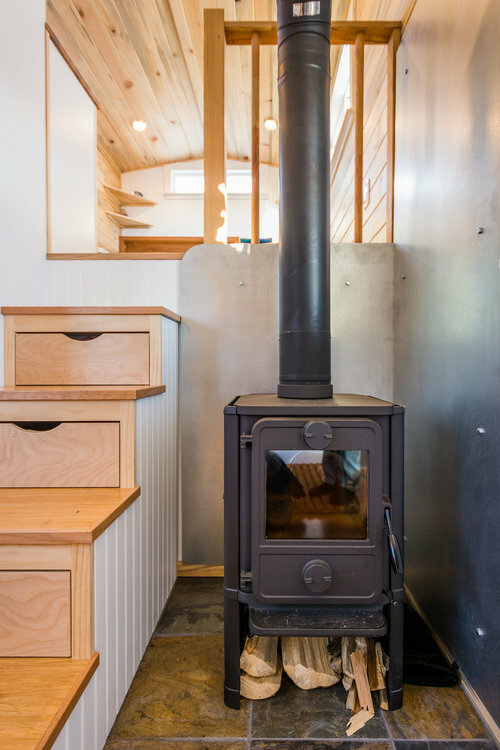 Right next to that is a cast iron convection wood stove that keeps the home warm in the cooler months of the year. The living room of the home is located in the gooseneck of the home and features enough headroom to stand upright. 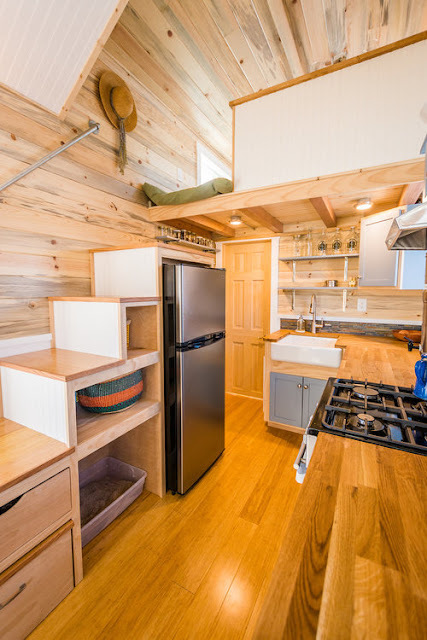 There’s also a pull-out sofa and an entertainment center. 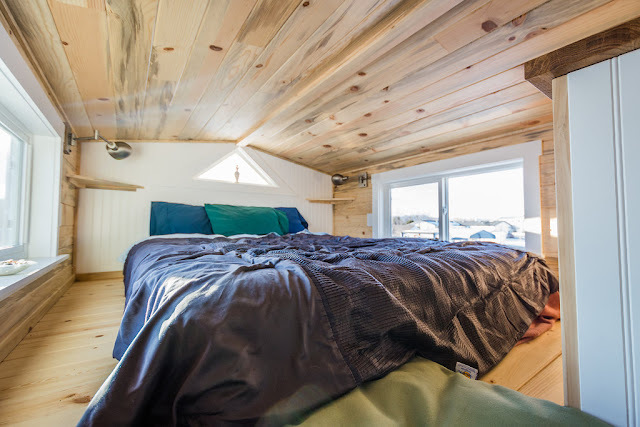 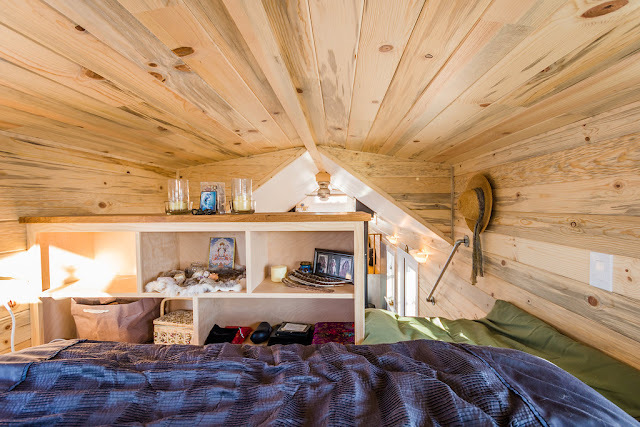 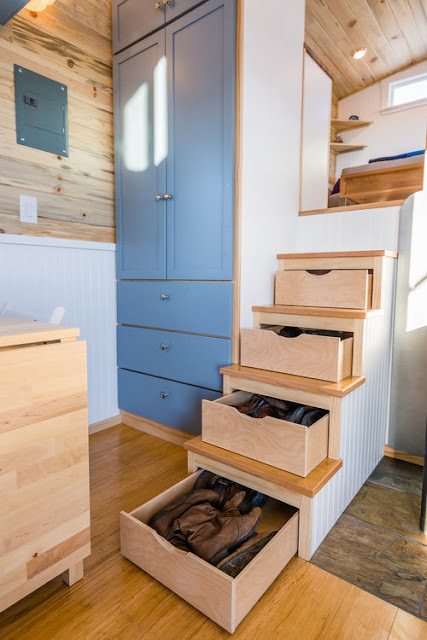 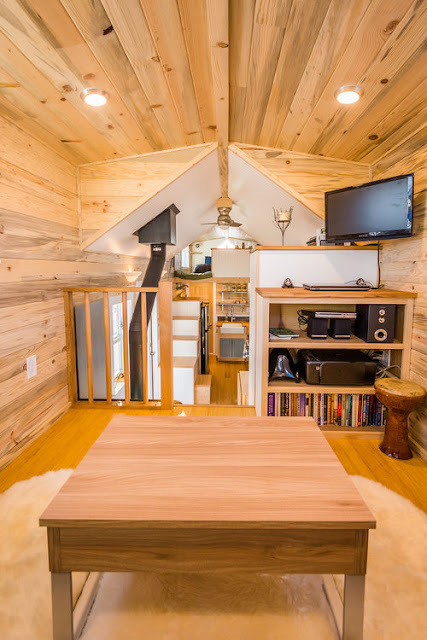 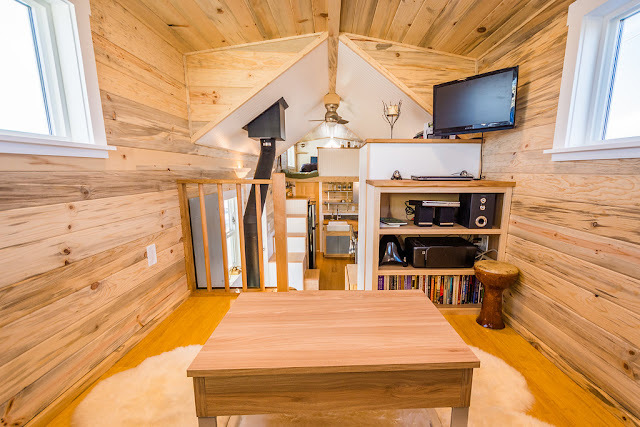 The bedroom of the home is located in a standard-sized loft space with built-in storage. 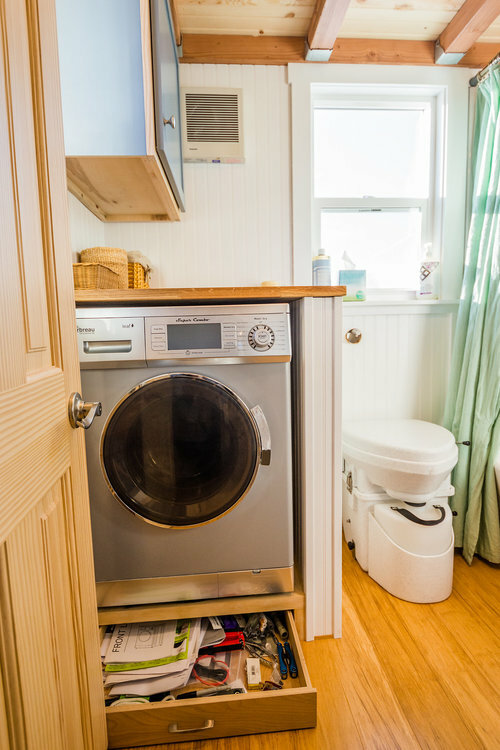 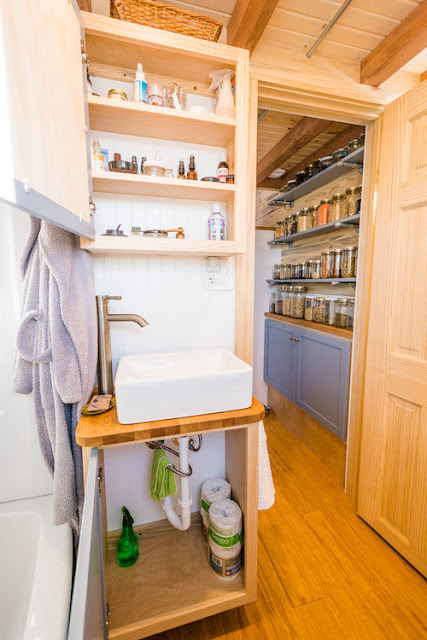 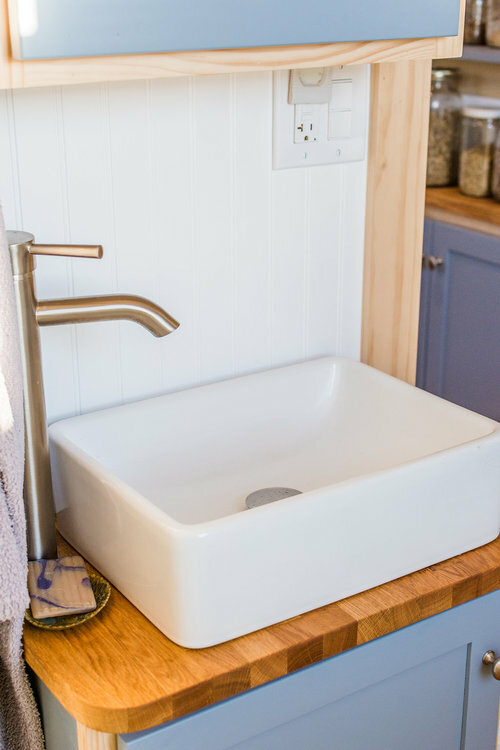 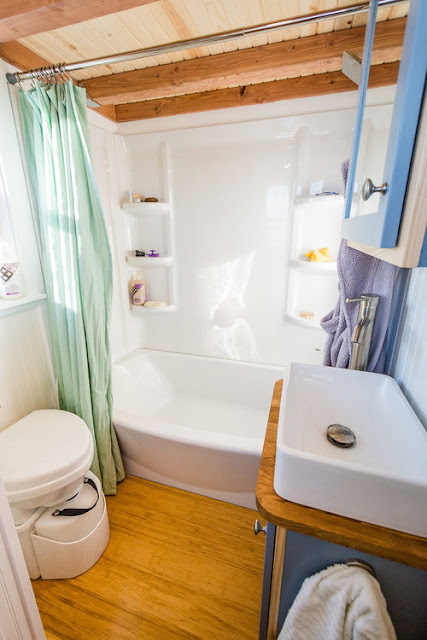 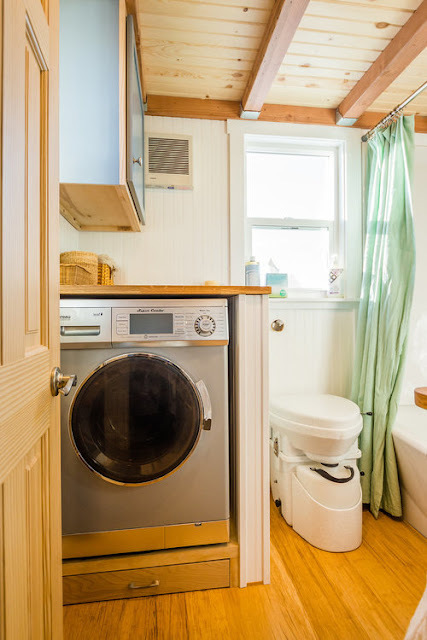 A bathroom is also provided with a full-sized tub and a washer/dryer unit!